Miami Roofers are Everywhere – That’s Why You Should Only Look For the Best of the Best! Roofing is a passion for us at Istueta Roofing. It’s not always the most glamorous job, but it can result in stunning pieces of triumph for us. This is why you don’t want just anyone working on your roof. Choosing to put a new roof on your home is a decision that needs the full attention and adequate knowledge of your contractor. John Doe can call himself the best Miami roofer, but his knowledge and handy-work might prove otherwise! You want a contractor that’s always learning about new industry materials and the most popular roofing types in the area. In other words, they should be resourceful and sharp. A smart contractor will continually attend industry events around the country as a means of gaining knowledge and perspective about their trade. After all, you can never learn too much! We take our job very seriously. 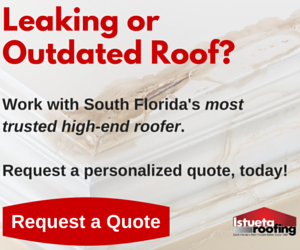 We’re not just another Miami roofer. We genuinely care about our clients and that’s why we work proactively, always looking for ways to improve what we do by learning more. One of the great events that allows us to do this is the Certified Contractors Network Owners Summit, which we happen to be attending later this month in St. Louis. As a member of CCN, we have access to all industry events and workshops that provide us with specialized industry training. The best of the best in the contractor world meet up for the Owners Summit every year as a means of learning from other business owners and industry leaders. This training allows us to take what we learn and implement it into our own businesses; keeping us up-to-date with the newest and best business practices in the contracting world. It also allows us to continually provide unparalleled service to our customers. We are constantly looking to learn more, do more, and make improvements so that our customers receive the best service and product available. 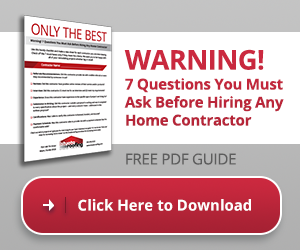 When looking for a Miami roofer, you can give yourself peace of mind by using our “7 Must Haves for Selecting Your Next Contractor” checklist below. Just click on the button below to download your checklist now!